Since 1984, Anthro has been in the business of making furniture for technology. Their goal is to stay well ahead of technology by making it more comfortable and more accessible with the best workstations possible. Ergotron acquired Anthro Corporation in January 2015. By uniting the strengths and resources of Ergotron and Anthro, the combined organization is positioned to better serve the growing global demand for high-quality and affordable digital life and workstyle products. “The addition of Anthro will enable our Ergonomics & Productivity Solutions business to expand its product portfolio and improve its market presence both domestically and internationally,” said Nortek president and chief executive officer Michael J. Clarke. 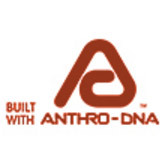 “Anthro’s strong brand, product offerings and distribution into the education, healthcare and office markets are excellent complements to our existing business.” With approximately 130 employees, Anthro’s strong engineering and U.S.-based manufacturing operations produce charging carts, height adjustable desks and radiology workstations for industrial and commercial applications primarily in North America and Canada. Over the past 30 years, Ergotron and Anthro have been at the forefront of providing innovative and differentiated products that help people better interact with technology. Ergotron, Inc. is a leading global manufacturer of leading digital display mounting, furniture, and mobility products that have been improving the human interface with digital displays for over 30 years. This history of innovation and passion for differentiation is evidenced in over 70 patents and a growing portfolio of award winning brands.